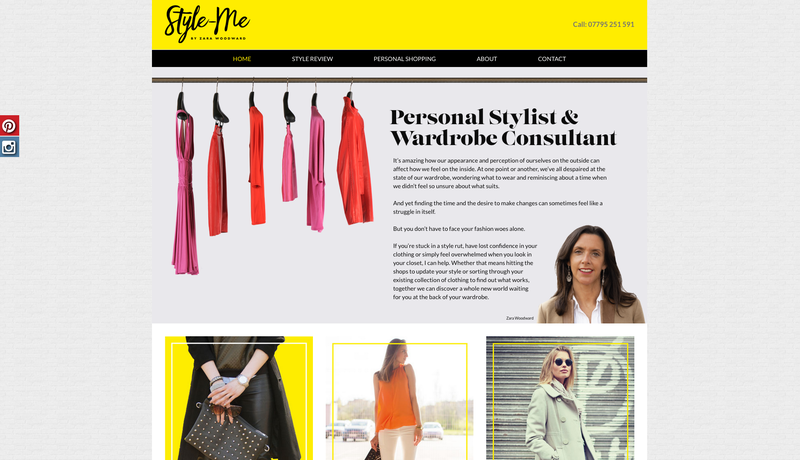 Fashion expert, Zara Woodward, was looking to create a website to promote her services as a personal stylist and wardrobe consultant, locally. 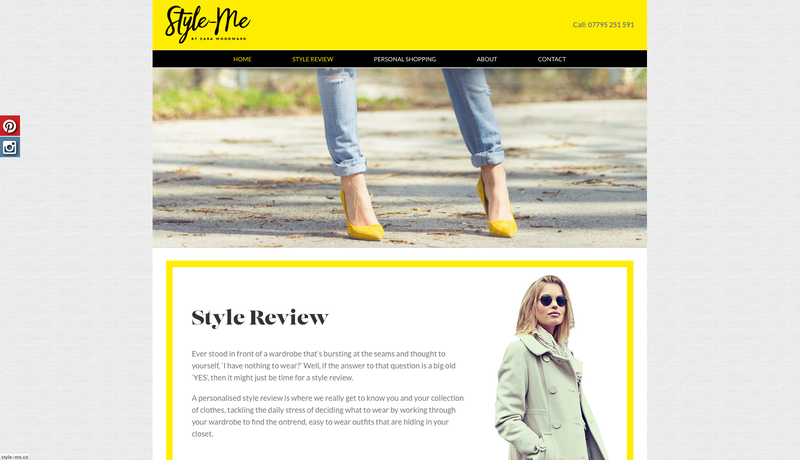 Our first task was to write and edit the copy based on her notes, giving the website structure and allowing us to decide on what pages needed to be created to ensure all information relevant to Zara and her business was communicated through the site’s content. We also wanted to create a fun, friendly and approachable tone of voice that reflected Zara’s personality and her role. 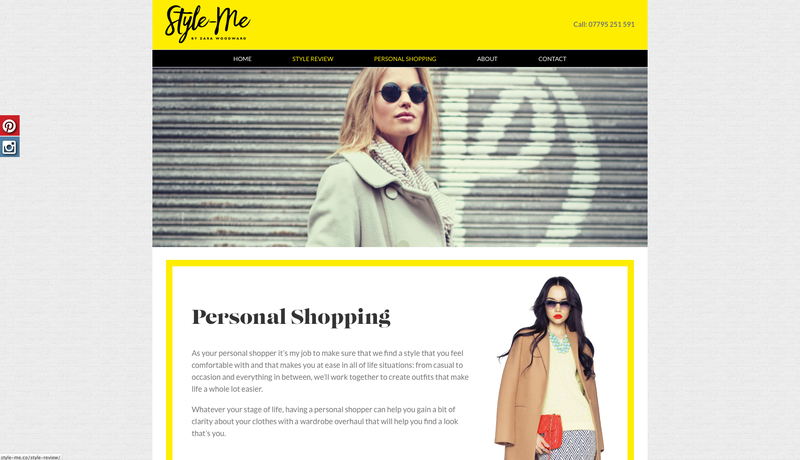 For the website design, we created a vibrant, on-trend and engaging website using a black and yellow colour scheme and box layout. The homepage banner also incorporates a moving clothes rack video animation which instantly communicates the theme of the website. 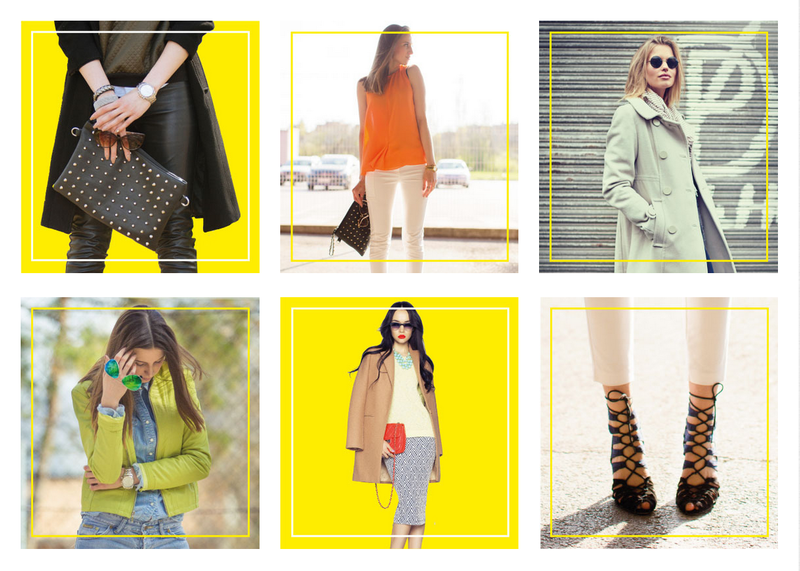 Fashion shots are used throughout the website to compliment the copy and appeal to the target audience.